Joseph William “Joe, Jay, or J.W.” Klotz, 76, of Pleasant Hill, was born, January 2, 1943, in Lone Jack, the son of Joseph W. and Opal E. (Fann) Klotz. 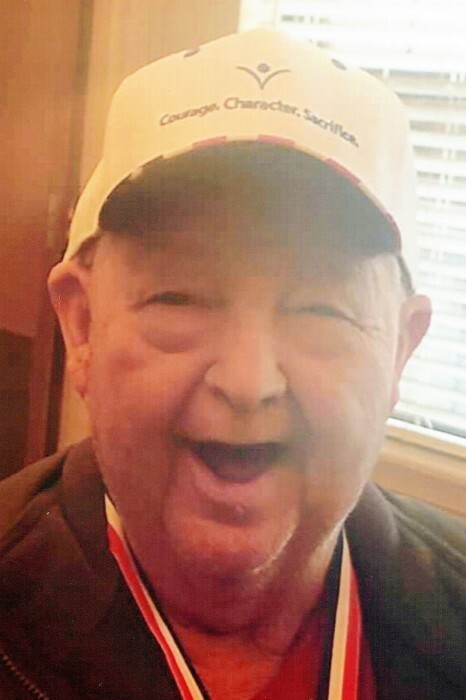 He departed this life, Tuesday, April 2, 2019, at the Pleasant Hill Health and Rehabilitation Center. Joe first attended the Lone Jack schools; later attending Diamond High School in Diamond, Missouri. He was a proud United States Air Force veteran as well as member of the Missouri National Guard. On October 23, 1965, he was united in marriage to Sharon Lea Hensley in Lone Jack. Joe was employed at Pfizer for 30 years retiring in 2003. He was a member of the Lone Jack Baptist Church, Jewell Lodge #480 A.F. & A.M. and the Ivy Leaf Chapter O.E.S. both of Pleasant Hill, the American Legion Post #499, Blue Springs, and the National Rifle Association. Joe was greeted at heaven’s gates by his parents; his in-laws; his brother, Orville Klotz; his sister, Janice Hutton; and one infant granddaughter. Left to mourn his passing are his wife of 53 ½ years, Sharon of the home; two daughters, Patsy Nash and Claudia (and Matt) Campbell, both of Lee’s Summit; four granddaughters, Rachel Nash, Rebekah Nash, Chloe Campbell, and Morgen Campbell, all of Lee’s Summit; his baby sister, Leta (and Dave) Shaffer of Joplin; four nephews; three nieces; many great-nieces and nephews; and host of many friends. Graveside funeral services were held Friday, April 5, 2019, at the Floral Hills East Cemetery, Lee’s Summit. Reverend Jerry Tharp officiated. Full military honors were conducted by the United States Air Force and the Pleasant Hill V.F.W. Post #3118 Honor guard. Casket bearers were Clint Beasley, Kevin Bennett, Allen Davis, Randy Davis, Russell Klotz, and Tony Klotz. Honorary casket bearers are Jim Berryman, Voyn Breshears, Mike Hatfield, Dave Shaffer, Bill Taylor, and Jimmy Winburn. Memorial contributions are suggested to the Hensley Hall Lone Jack Civic Center or the National Rifle Association and may be sent in care of the funeral home. Arrangements: Stanley-Dickey Funeral Home, 203 N. Armstrong, Pleasant Hill, Missouri 694080 (816) 540-5550.